Whether you’re ready to join GBB today, or still gathering info, these links can help your business get started on a path to a greener tomorrow with the Green Business Bureau. 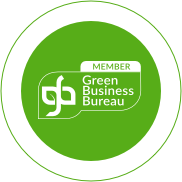 Your green certification journey starts by purchasing a yearly GBB Membership for your business. Memberships start at $375/year and are based on the size of your business. 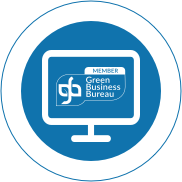 Learn more about GBB Membership Pricing. Join one of our Green Certification Specialists for a one-on-one demo of the GBB certification process, platform and benefits. Still deciding if GBB Certification is right for your business? 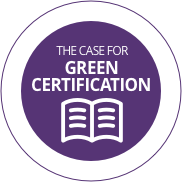 Request your copy of GBB’s White Paper, The Case for Green Certification, our in-depth look at the opportunities, benefits, market trends and business case available to greener small businesses. Green Business Bureau’s pricing structure is designed to ensure companies of all sizes can cost-effectively and profitably take advantage of the benefits and opportunities of becoming a Certified Green Business. All Memberships come with full access to GBB’s Certification Portal and Benefits.